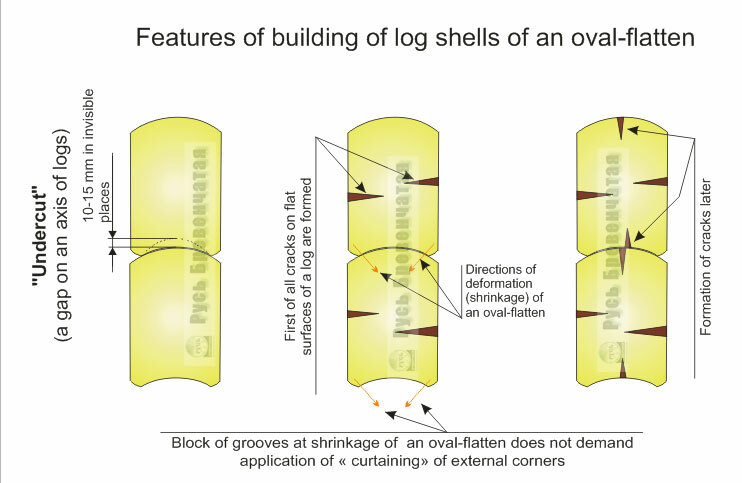 Oval-flatten - Features of application of gaps at building of walls from oval-flatten. Norwegian technology of felling with notch and semioval logs. Before starting the story about technological features of houses made of an oval-flatten (a semioval log), probably it will be better to tell to visitors of our site what is actually an "oval-flatten". Oval-flatten, or semioval log (fig. 1), has come to us from Scandinavian countries, first of all from Norway. The freedom-loving Vikings living at coasts blown by sea winds, were good judges of warm wooden houses. There is a mistake, that houses from an oval-flatten are colder, than houses from a round log, it is not so. A thickness of walls about 20 cm, very warm notches (by the way, notches and dowels conduct their history from the Norwegian lock) provide comfortable habitation at northern latitudes. 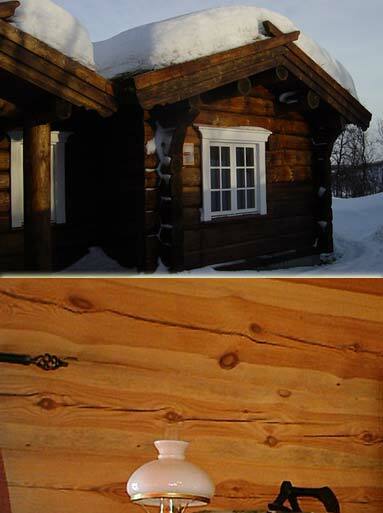 For the sake of justice, it is necessary to add, that Norwegians historically paint their log houses with special solutions (traditionally dark colors), providing safety of wood from environment influence. After all, if you pay attention to fig. 1, in an oval-flatten the firmest external layer of a tree is taken away and softer wood is exposed to contact with atmosphere. Nevertheless, existing antiseptics can reliably save your walls, having left to your look all texture of a tree. On a photo on the right, fig. 2 (these images were taken from the Internet) is shown a kind of dwelling of Vikings. On a roof, under a snow layer, the grassy cover, pleasantly turning green in the summer, is hidden. On the bottom photo (an internal wall of the house) cracks and gaps arising on flat parts of an oval-flatten are shown. In general, oval-flatten is a whole philosophy. We do not speak about Norwegians who traditionally cover roofs with a layer of earth with landed grass (so-called earthen roofs, very warm, but demanding a special waterproofing). We speak about us. 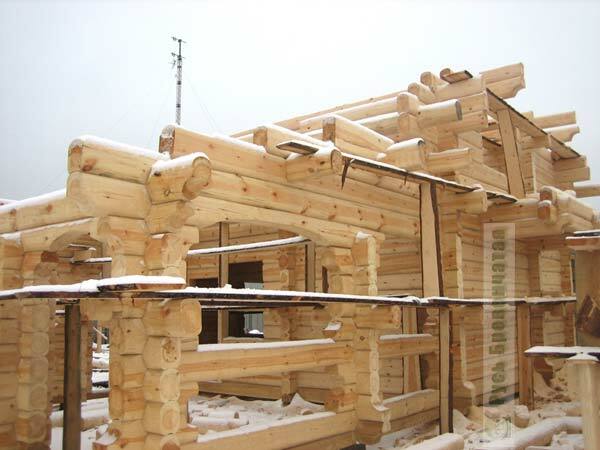 If you are delighted by cracks and gaps of structure of wood on your walls (they never go through the log and do not reduce a heat-shielding of walls), forming beautiful drawings which You can admire, sitting in the cold winter evening at a fireplace, then you will be necessarily attracted with the log house made of an oval-flatten. The following two drawings (fig. 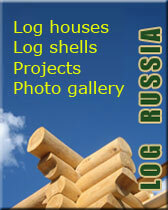 3 and 4) show how houses from an oval-flatten made by the company "Log Russia" look. As you can see, the oval-flatten creates visual lightness of a design of a log shell. - Lower cost of the house of an oval-flatten (considering absence of notches for windows and doors). 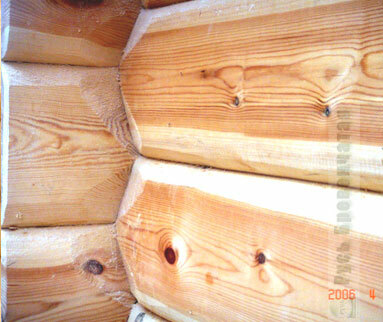 - Presence of cracks and gaps of structure of wood on lateral surfaces (on a round log, at observance of correct technology, visible gaps will not exist, and there will be only a small cobweb of cracks). Now, when you have already received representation about features of the houses made on the Norwegian technology, has come the time to tell in details about nicety of building of walls from an oval-flatten. 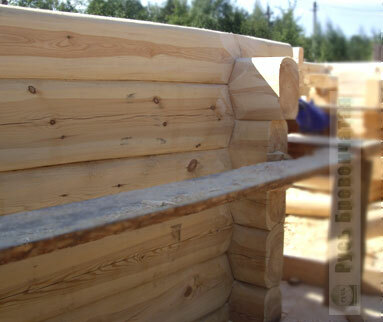 We hope, that you have already familiarized with technologies applied by us about a round log: "curtaining of external corners", undercut formation, creation of unloading cuts etc. - Notching of apertures under platbands in door and window apertures is not required. In summary, we will consider walls made of an oval-flatten more close. In drawing 6 the wall with cuts is shown, pay attention to the second log from above - already on a building site there were cracks along a log. Let it does not frighten you, this is a feature of an oval-flatten. On fig. 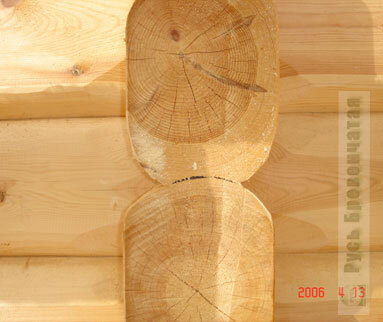 7 the close up of cut is shown, note, please, characteristic notches near "bowls", their appointment is similar to notches in bowls for the Canadian cabin technology. On fig. 8 it is shown a cut in a window aperture. In this cut it will be inserted a cranial bar 50*50 mm. 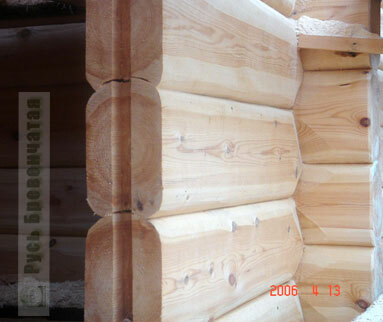 About the organization of window and door apertures it is in more details written in section "Mounting of apertures". P.S. 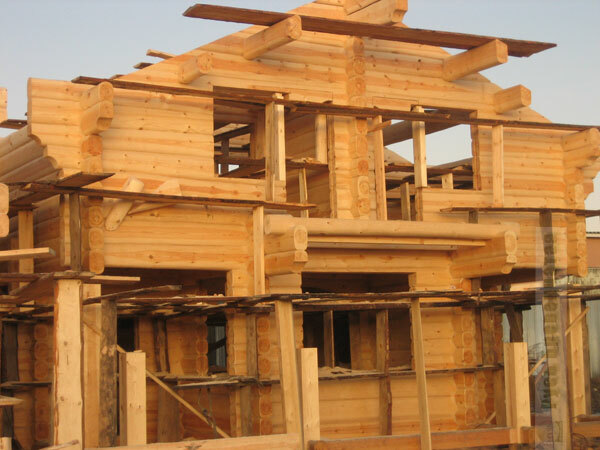 If it is difficult to you to be defined, what type of a log to choose: round or oval-flatten, we remind, that you can unite them, having made external walls from a round timber, and internal - from an oval-flatten. About it in more details on page "the Round timber + an oval-flatten". 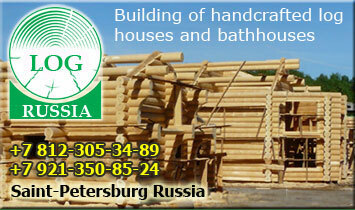 Choice is for you, and masters of the company "Log Russia" will help you to realize the house of your dream.